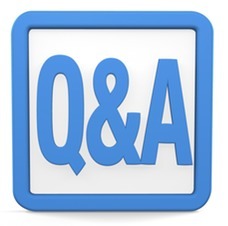 FAQ | LARGE VIEWER | Corporate Smalltalk Consulting, Ltd. I am an engineer and I have a PDF file that is 300 pages at 34 by 22 inches. Can I view that on Large Viewer? I can't find an app that can handle a document that big. Yes, Large Viewer is specifically built for that purpose. I am a photographer who builds massive wall-size montages in Photoshop. Can I show them in Large Viewer? Yes, we have worked with images as large at 20 by 42 feet. Just create a PDF or colored TIFF. I am a medical tech and need to display very large TIFF based x-ray or CAT scans. Can I do that? Yes, 60 mm x 200 mm at 1200 dpi is not a problem. I am a pilot who wants to work with aviation charts that have very fine print. Can Large Viewer handle that? Yes. Just make sure the scale factor is 4.5 or 5x for best results. I am an astronomer who has thousands of FITS files. Can your App really display those? Yes, and we are working on a UI to allow you to adjust the dynamic range to better show the image data. I am a petrophysicist. Can you let me view a well log that goes as deep as 8500 feet? Yes, we built our first well log app in 1989, so we are familiar with the data display issues. But you have to use our Well Logs App due to some extra decisions about thumbnailing and memory usage. I have a scanned book which was published in 1849 from Archive.org. Can your App show me the pages without waiting forever? Yes, it can. Lightning fast. And we have variable page-size support especially for those books which have hand-cut page sizes. I have these topography maps I use for hiking and they are really big - six by six feet. Can I use your App? Yes, we've worked with wall maps as big as 10 by 12 feet. I'm a medical student and have a 12,000 page text book. Can your App open it? Yes, it will. But use our free Large Viewer PreRendering Helper App for iOS to process it first. Otherwise it will take about 30 minutes for the first open. Then later usage has no waiting. I like your App but need to sync the data for use by our field personnel. No problem. Use our read-only Dropbox passive caching feature to enable everyone to have the same view of all the documents. We have 7,000 drawings. How do we get them into your App? 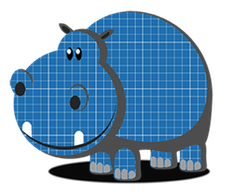 Use our free Large Viewer PreRendering Helper App for iOS to convert your document folder. Then move to Dropbox and decide which subfolders should be cached. I received this TIFF file in color. Will your App display it? Yes, but you might need to change the default TIFF color index to 32 bits depending on the color details. How do I delete a document from your App? If you grab a copy of Apple's new iPad manual here, it's on page 46. The gesture works for most table-based views in any app. You can also delete a message directly from the Mailbox message list by swiping left or right over the message title, then tapping Delete. Can I email a page of my fax document to someone? Yes, the Action button on the top right let's you email a single page as a PDF. Or, on the Document Preview window you can convert the entire document to a PDF and email that or the original document. Can I print a document? Of course. We support Apple's AirPrint, so you can print all or any page from the Document Preview window. But you may need to make a PDF view first. Does Large Viewer offer annotation? We are working on that right now. Apple's panoramic photos lack detail. Can your App do better? Yes. Apple's Photo App lacks the ability to really zoom in. We don't have that limitation. I have thousands of scanned newspaper broadsheet images at 600 dpi that I need to review. Can Large Viewer accomodate that? Yes, that paper size is actually smaller than what engineers use so there's no problem. I have some drawings scanned at 2400 dpi. What should I do? At that resolution you can practically see the paper fiber. Try reducing the scale factor to 1/4x for best performance and storage use. My TIFF file is a gigabyte in size. Can your App open it? Sure, we've worked with photographers that have gigapixel-size images. Your App sometimes takes a long time to open a document the first time. Why is that? We push all the normal wait time into the first use. After that, your documents will open instantly. I really like your App. How can I help promote it? Thanks. You can Like our Facebook page. Also, a great review in iTunes always helps. I would like to buy 500 copies but I need some specialization. No problem. Contact us here about Apple's B2B program and customization. I have hundreds of documents to organize. What do I do? Consider Dropbox and passive caching. Or use our Folder support for organizing documents as they are imported. Do you support Microsoft Office documents? We indirectly support them via Apple's support. Do you support TGA files? Yes. In fact, we support over 40 different file types. View them all here. Do you support file format XYZ? Just ask. Sometimes file formats are proprietary or the decoder is too large to work on the iPad. We have staff in Russia. Does your App support them? Our apps are available in English, French, German, Hebrew, Japanese, Korean, Russian, and Chinese. Support for more languages is coming. Do you do custom app work? Yes, please email us to discuss your needs. Do you have a human I can talk to? Yes, we have a USA Help Desk that lets you talk directly to a software engineer. Email us for the phone number. What are your support hours? 9 am to midnight EST, seven days a week. Also, all email questions are responded to within 12 hours. How do I contact you? This website and our Facebook page have Contact Forms. In addition, all our Apps have an Email Support button on the About/Help?/Settings panel. If you want to talk to a person, we can provide a help desk number. I want a refund! Like Apple, we want you to have a great experience. Talk to us and we'll see if the issue is something we can fix. Or perhaps you just need some help getting your document out of Apple's Mail program. If we can't solve your concerns, we'll refund the purchase price. Do you have a Beta program? Yes, we do. Customers who make Large Viewer a critical part of their table strategy are encouraged to become beta testers in order to get an early look at new releases. And to confirm everything still works in their environment before we push the app to Apple's App Store. I'm not a big business so I don't have money to waste. How do I know Large Viewer is going to work on my documents? Email us. We supply a limited number of promo codes so you can try before you buy to confirm our App will work for you. 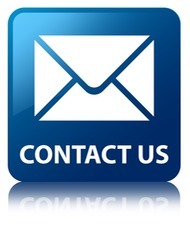 If you have a question and you don't see the answer here, please don't hesitate to contact us.